Call (416) 200-7005 (24/7) Your First Consultation is FREE! If you are in custody, call 1-877-345-9847. A conviction of a criminal offence can have a significant effect on the person convicted. If you have been convicted of a criminal offence and have concerns regarding your criminal record, employment status, travel plans and/or immigration status, contact us today. We can help you understand the impact of your conviction and, in many cases, help you accomplish your goals despite the conviction. Contact us today. The RCMP maintains a central police database, Canadian Police Information Centre (“CPIC”), that may be accessed by law enforcement agencies across Canada. Once a conviction of a criminal offence has been registered against you by a Federal or Provincial court in Canada, the conviction is entered into the CPIC system. In addition, local police agencies also maintain their own databases that contain additional information, including charges laid and criminal histories for non-convictions (e.g., acquittals, withdrawals, stays of proceedings). This type of information is usually kept internally and is not regularly released for the purpose of background checks. 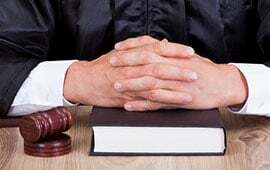 Information on discharges (i.e., cases where a finding of guilt has been made, but a judge has decided not to register a conviction) are also maintained by CPIC and local police agencies. Every police agency has its own policies and procedures with respect to record retention and destruction. A request to destroy your police records with the local agency that laid the charge, or with CPIC, may be done in certain situations where your case resulted in a non-conviction. In addition, if your case resulted in a non-conviction, you can apply to have any fingerprints, photographs and records of dispositions destroyed by the local police agency. If you have been previously convicted, it may be possible to apply to the federal government of Canada for a pardon/record suspension. A pardon/record suspension allows people who were convicted of a criminal offence, but have completed their sentence and have since demonstrated they are law-abiding citizens, to have their criminal record kept separate and apart from other criminal records. If a pardon is granted, a search of CPIC will not show that you had a criminal record, or even that you were issued a pardon/record suspension. If you would like to request to have your police records destroyed (in the case of a non-conviction) or to request a pardon/record suspension (in the case of a conviction), we can assist you. A conviction of a criminal offence can have negative consequences on a person’s current employment or future prospects. In fact, sometimes persons accused of committing a criminal offence experience employment issues before they have even been convicted or after they were acquitted. It is not uncommon for persons accused of committing a criminal offence to have to account for or explain the circumstances behind criminal charges to their employers, even in situations where the charges have nothing to do with their job. Employers in Canada routinely run criminal background checks on prospective employees. Some employers even run “rolling” background checks on their current employees. A standard criminal background check will reveal all criminal convictions registered against a person unless the person has received a pardon/record suspension in respect of the conviction. In addition to a standard criminal background check, an employer may run additional background checks on individuals depending on the nature of the position applied for and the individuals the employee would be working with. In particular, a Vulnerable Sector Check is a background check performed on an individual who would be working with children and/or elderly, disabled or otherwise vulnerable adults (e.g., teachers, nurses, childcare employees, doctors). A Vulnerable Sector Check will reveal almost every interaction an individual has had with the police, either as a youth or an adult, including criminal records, occurrence reports, youth records, absolute and conditional discharges, and judicial orders. The history is then reviewed against a list of specified offences to determine the risk an individual may pose where they have unsupervised access to children or vulnerable adults. applying to have your police records for any non-conviction destroyed. A conviction of a criminal offence can negatively impact a person’s right to travel outside Canada. In fact, an accused person facing criminal charges in Canada may have difficulty travelling to certain countries, depending on the nature of the charge and the ultimate disposition of your case. The list of “Crimes of Moral Turpitude” is extensive. It includes drug offences (even simple possession of Marijuana), most crimes of deception and a number of crimes of violence. The definition of “conviction” is much broader than in Canada and may include a conditional discharge for a “Crime of Moral Turpitude”. If you are planning to travel in the near future, and are concerned about the impact that your criminal history may have on your travel plans, contact us today. We work directly with US immigration attorneys in assisting Canadians who wish to travel to the United States for business or holidays. An experienced US immigration attorney can assist you with the preparation of an inadmissibility waiver. If you do not answer truthfully when asked about your criminal history while attempting to enter the United States, you may suffer serious consequences. With respect to travel to other countries, we can assist with determining and fulfilling the travel requirements on a case-by-case basis. A conviction of a criminal offence can have negative consequences on a person’s status in Canada if they are not a Canadian citizen. Non-citizens (including permanent residents) who have been convicted of certain serious categories of offences in Canada (regardless of the sentence imposed), or who have received particular types of sentences (regardless of the nature of the offence), may find themselves subject to an immigration removal order. If an immigration removal order has been issued, it is only possible to appeal this decision in certain circumstances. If the immigration removal order was issued because you were convicted of a serious crime for which you received a prison sentence of at least two years, you will not be able to appeal the decision. At an appeal, the Immigration Appeal Division can consider humanitarian and compassionate factors, including the best interests of any child who would be affected if you had to leave Canada. When administering a sentence, the judge may exercise his or her discretion to take collateral immigration consequences into account, provided that the sentence ultimately imposed is proportionate to the gravity of the offence and the degree of responsibility of the offender. Accordingly, if a client could be facing immigration consequences upon conviction of a criminal offence, we present these collateral immigration consequences a part of the negotiation process. If you have been charged with committing a criminal offence and you are not a Canadian citizen, it is important that you get legal advice as soon as possible. Contact us today. If you are looking for a criminal lawyer or you would like to discuss your charges, don’t waste any more time. Contact us today. We are available for consultation 24 hours a day 7 days a week. Your First Consultation is Always FREE! This includes our review of your case, evaluation of possible defenses, and development of a plan of action. You should also know that consultations are completely confidential and subject to solicitor-client privilege. Our law firm accepts all forms of payment including Visa, Mastercard, Debit, and cheque. We will make reasonable efforts to work within your budget to ensure that your defence is not compromised including payment plans or financing. Call now to discuss your case and the options available to you. Hogan Law Firm is a recognized criminal defence law firm representing clients in Mississauga, Toronto, Hamilton, Burlington, Milton, Brampton, Newmarket, Ajax, Pickering and Oshawa. The firm provides high quality legal advice and defends individuals facing criminal and quasi-criminal charges in the Ontario courts. ALL INITIAL CONSULTATIONS ARE FREE.